Runs and bike rides may be a lot different for the next few years due to Purple Line construction. The popular Georgetown Branch Trail that connects Bethesda and Silver Spring, Maryland, is set to close on Tuesday. Purple Line officials said the trail will stay closed for four to five years between Woodmont Avenue in Bethesda and Talbot Avenue in Silver Spring. The map from Purple Line Transit Partners showed the existing trail in purple and the detour route in red. 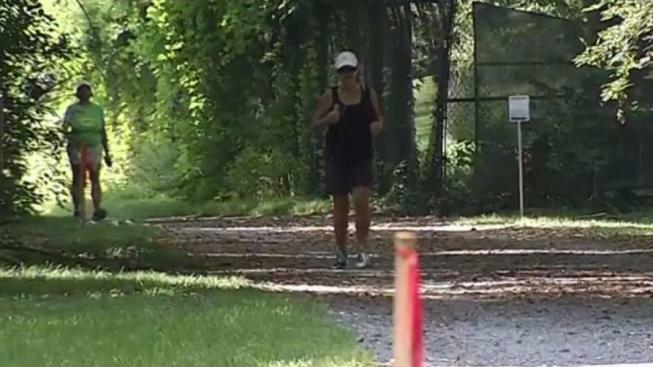 A trail detour will take runners and riders along Jones Bridge Road, which some trail users said is too busy and possibly unsafe, WTOP reported. “Construction activity will occur throughout the length of the existing Georgetown Branch Trail. To ensure safety for trail users, the trail must be closed. Montgomery County Department of Transportation has established an alternate trail route for use during construction,” according to the Purple Line website.